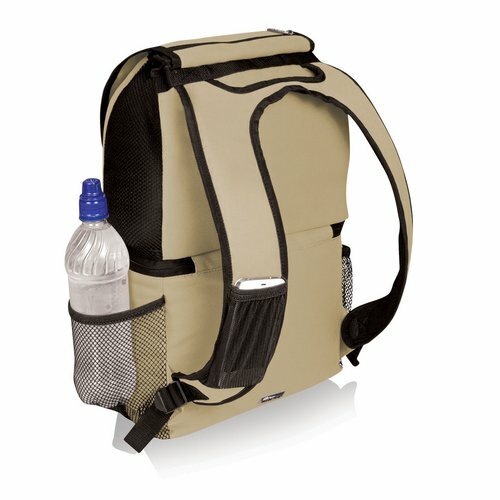 The Insulated Cooler and Backpack won't weigh you down when carrying food and gear to your destination. 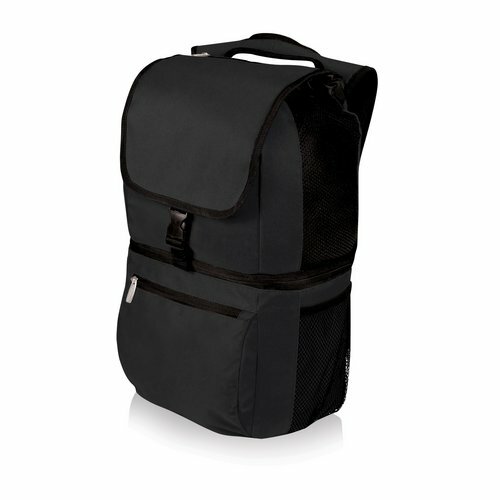 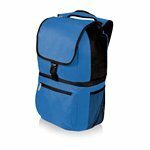 The Ziuma backpack is made of durable 600D polyester and divided into two sections: the top air mesh section (with drawstring closure) is designed to hold clothing, towels, or other gear that needs to "breathe", and the bottom section features ThermoGuard insulation to keep food warm or cool for hours and a heat-sealed, water-resistant lining to guard against leaks. The Zuma also features padded shoulder straps with air mesh on the underside and a specially design pocket on the front right strap to hold a mobile phone or media device. On the Zuma's exterior, two large zipper pockets and two beverage pockets help keep your personal effects close at hand. 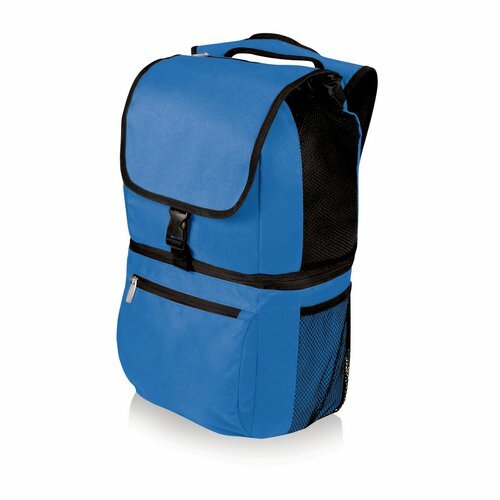 Stylish, lightweight and functional, the Zuma is terrific for day trips, hiking, the beach, sporting events, and fishing.